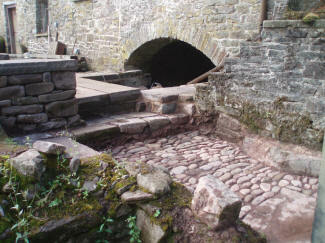 There has been a mill on this site for hundreds of years, though the current building dates back to the early eighteenth century. 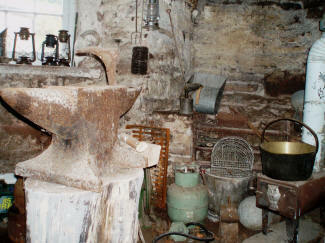 Owned at one time by John Handley, who died in 1890 leaving £6,825 in his will, this being one of the highest recorded amounts for any “Craftsman, mercer or gent” at that time. 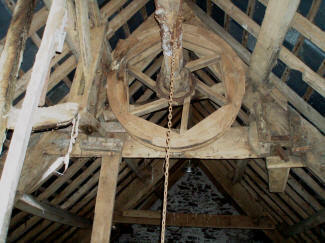 The mill is of huge historical significance, when so many are being lost to development and conversion. 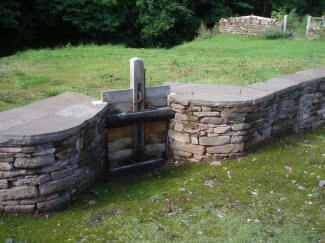 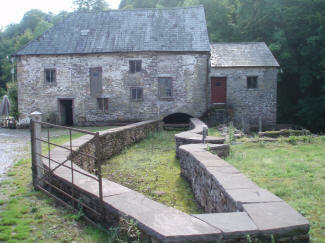 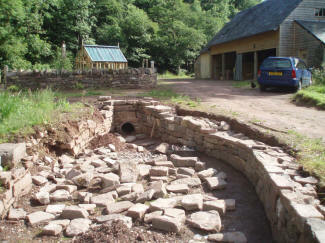 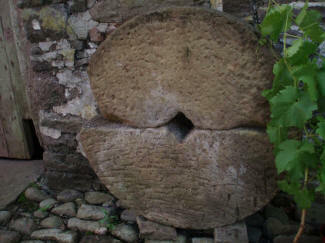 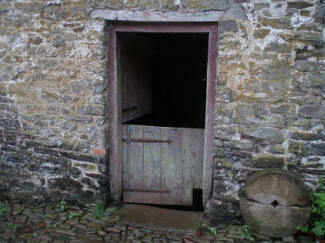 The river Honddu once provided water power to more than a dozen mills. 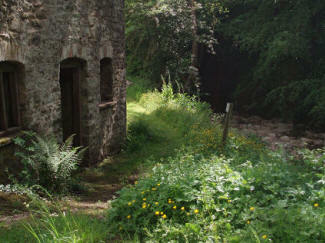 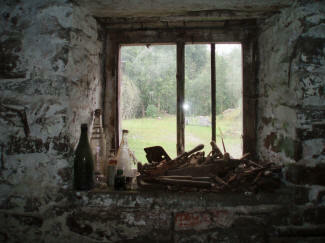 Priory Mill is now one of only two remaining, not either fallen in to decay or converted in to living accommodation. 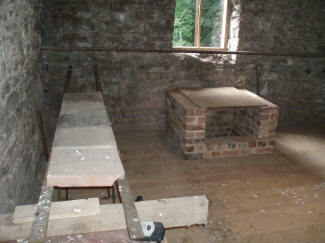 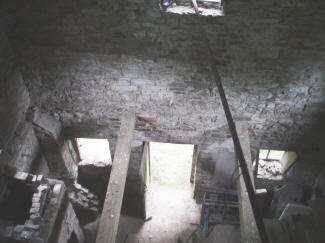 Since the Gaskells’ ownership the derelict Grain Kiln roof has been completely rebuilt: two new oak beams and floor have been installed, numerous new window frames and doors have been made as copies of the originals, the waterwheel pit has been excavated by hand, and a section of the head leat has been exposed. 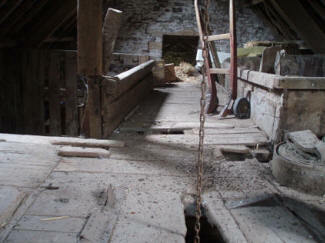 They have now located (although not yet fitted) a 10′ overshot wheel; the original was taken during the war after milling ceased in 1937 due to floods destroying the weir. 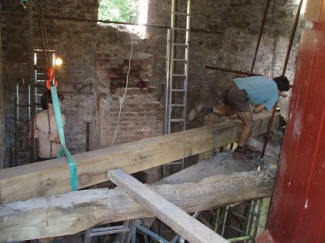 As they are undertaking all the work themselves, this careful and slow restoration, using traditional materials throughout, will continue for years to come, disturbing neither the rare resident Lesser Horseshoe bats or visitors. 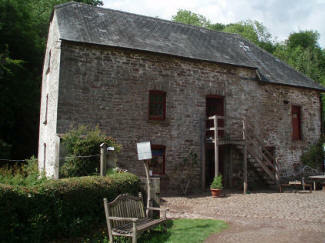 Although it is not currently possible to look around the mill, hopefully it will be in the future. 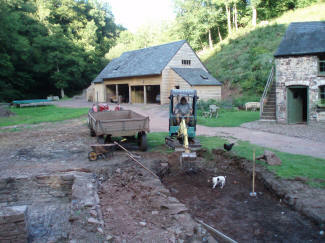 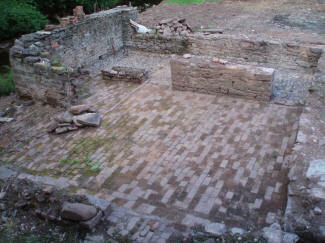 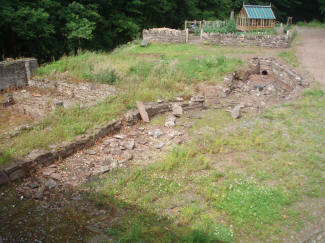 2010 has seen dramatic changes and improvements to the appearance of the cobbled courtyard area. 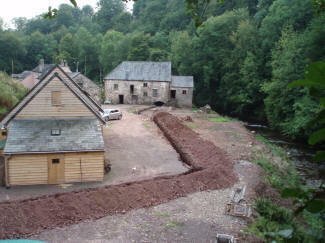 The building of a new barn beyond the stables has allowed the removal of a large tin implement barn built over the site of the piggery and millpond during the 1950s. 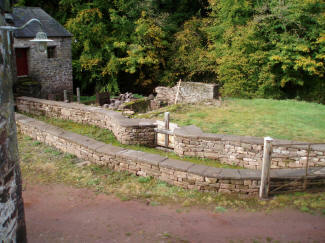 Buried for over sixty years, the retaining walls of the pond and the outline of the piggery walls are once again clearly visible.